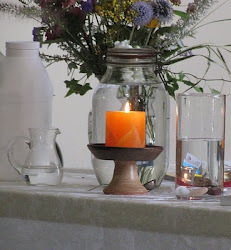 Last month, July, 2014, the theme of the month was the second principle of Unitarian Universalism, "justice, equity, and compassion" and some of the articles dealt with the distinction between justice and equity. 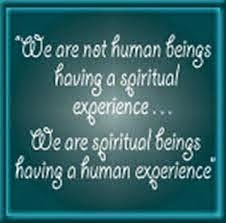 They are not always the same thing. 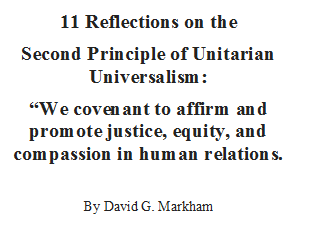 Tonight, Sunday, August 10, 2014, I did two important things among many: finished the draft of the book, "Justice, Equity, and Compassion In Human Relations: The Second Principle of Unitarian Universalism" which consists of 11 reflections on the second principle with discussion questions for personal consideration or group discussion. PDF copies are available free now to anyone who requests one by sending me an email at davidgmarkham@gmail.com, and soft paper back copies will be available in a week at Amazon.com for $9.95. The second thing I did was watch The Company Men on streaming Netflix starring Ben Affeck, Tommy Lee Jones, and Chris Cooper and there is a great scene where the Tommy Lee Jones character, Gene McClary, confronts the human resources staff and attorneys about the proposed lay offs making a distinction about "legal" and "ethical".